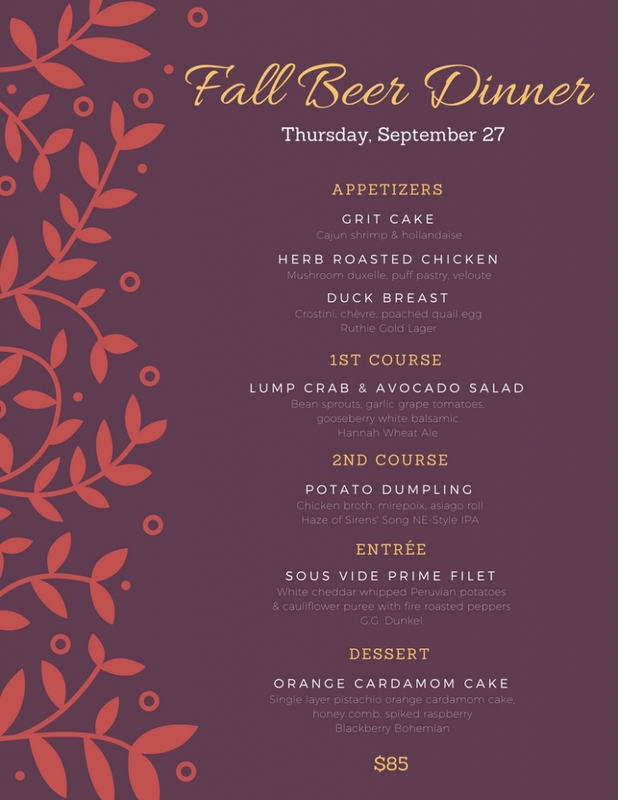 Fall Beer Dinner | Exile Brewing Co.
Join us September 27th for our Fall Beer Dinner! You will start the night with a tour of the brewery followed by appetizers. Once seated enjoy a four-course dinner with beer pairing accompanying each dish. Spots are limited and tend to go fast.